If you are ready for a ski experience you will remember for the rest of your life, consider heli skiing. Heli skiing offers an off-trail, downhill skiing experience that will leave you breathless with excitement. There’s no need for a ski-lift. 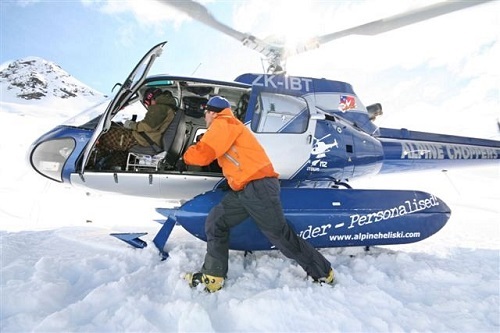 With heli skiing participants are taken to a mountain top covered with fresh snow via a helicopter. Skiers leave the helicopter and make their way down long descents through steep slopes, around old growth tree glades and amazing natural terrain contours over fresh powdery snow. It’s an experience no ski resort can duplicate. Experienced guides lead skiers through exhilarating mountainous environments where they can test themselves and enjoy nature in ways many could not imagine or ever thought possible. It’s like nothing you have ever experienced. Heli skiing was first tried in the 1960s. There are many locations in Europe, Asia, North and South America that have become popular destinations for heli skiers. Many of them are in the world’s most exotic locales. Once people experience the sport they’re usually hooked for life. The thing that attracts many people to heli skiing is the diverse mountain terrain in which heli-skiing takes place. Participants race down alpine glaciers, around tree glades and through steep chutes. Runs can be from as long as 10,000 feet, but most are at around 2,000 feet, which is about the average run length. The character of the snow often changes with the elevation on long descents, from effortless corn snow to breakable wind crust. The wind and the sun make both the conditions and the terrain vary from run to run. No two runs are ever the same. The more experienced the guide and the helicopter pilot and the more adventurous the skier the more fun the run can be. 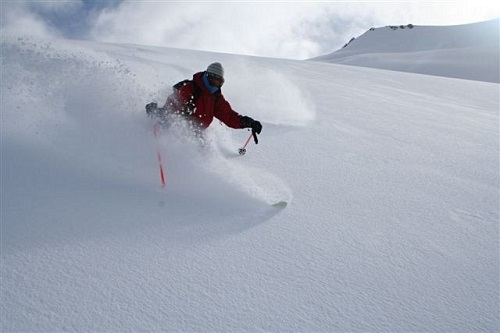 Depending on the time of year people go heli-skiing the snow can range from deep, fluffy powder to granular, recrystallized “sugar” snow which allows for relaxed ski descents to super fast creamy ski conditions when the spring sun’s heat creates melt water. Some skiers prefer spring skiing because of the warmer temperatures and longer days. Although it does not require any special skills or techniques to become a heli skier, it does require the ability to handle a variety of terrains and snow conditions, so skiers must be at intermediate and advanced level to participate. The altitude and conditions at which heli skiing takes place requires skiers to wear sub-zero appropriate layered clothing, neck warmers, hats, gloves and goggles. They should also wear a backpack with avalanche rescue gear. Heli skiers that are reasonably fit will not possibly slow down the others in the group. They must also use the buddy system and wear ‘all-mountain’ skis. These skis allow them to more easily navigate the terrain and keep them from getting tired as quickly. Once they have these things, skiers are prepared to enjoy the pristine snow, breathtaking scenery and excitement that has caused heli skiing to grow by leaps and bounds in popularity since Austrian mountain guide Hans Gmoser first began experimenting with the sport in the Bugaboo Mountains of British Columbia in 1965. This entry was posted in Skiing, Winter Sports and tagged Heli Skiing, Heli-Ski. Bookmark the permalink.